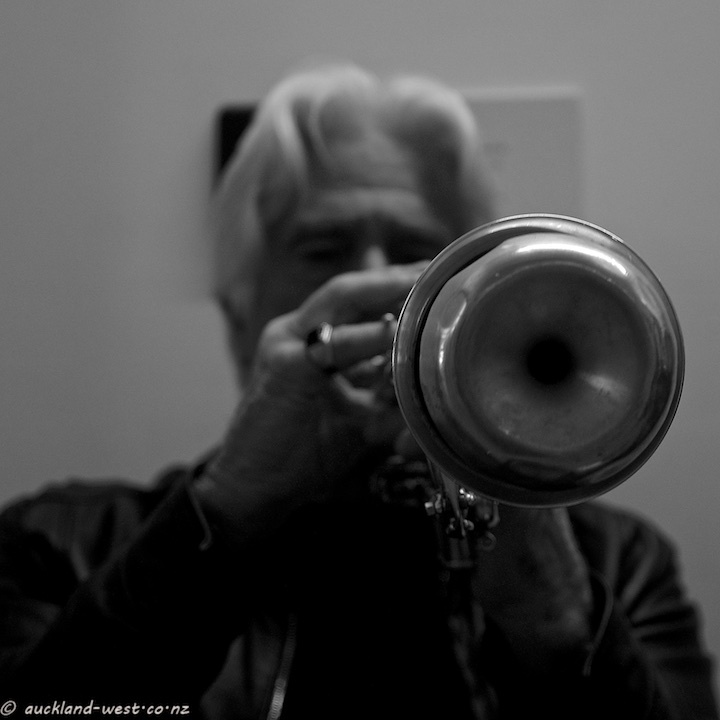 Terry Prince joined the Chilleles at a function at the Upstairs Gallery recently, playing a muted trumpet. A very different take! Good shot! I like your focus on the mute itself. Makes for a very interesting photo. Special! A good focus on the instrument. Up close and personal this one.